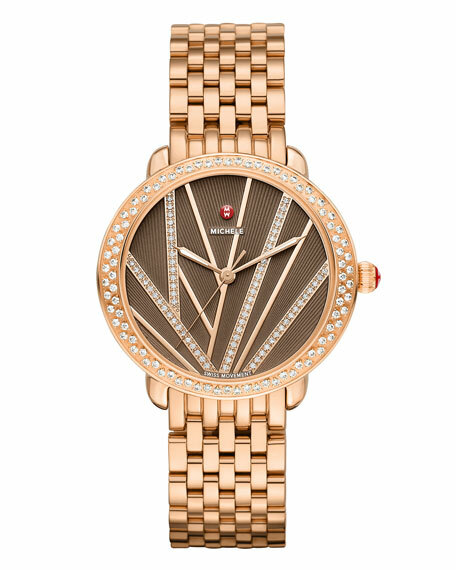 The Serein Mid in 18K rose gold pairs with a dramatic cocoa dial in this expressive cocktail watch. 158 diamonds cover the bezel and dial, creating the appearance of lights that represent Paris, The City of Lights. MICHELE watch head and strap are sold separately. 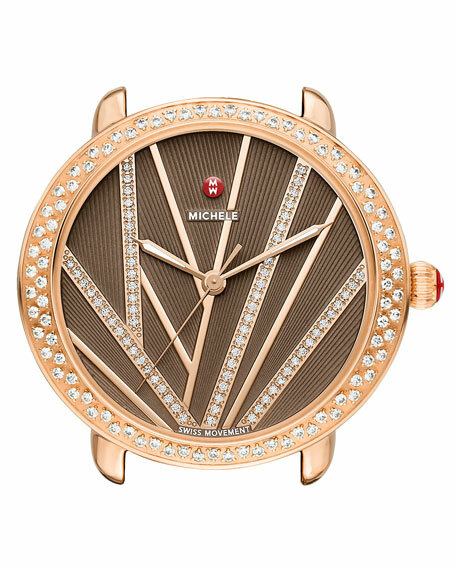 MICHELE Seirin Mid cocktail watch features dramatic diamond dial inspired by bird's eye view of Paris at night. Case Size: 36 mm x 34 mm. 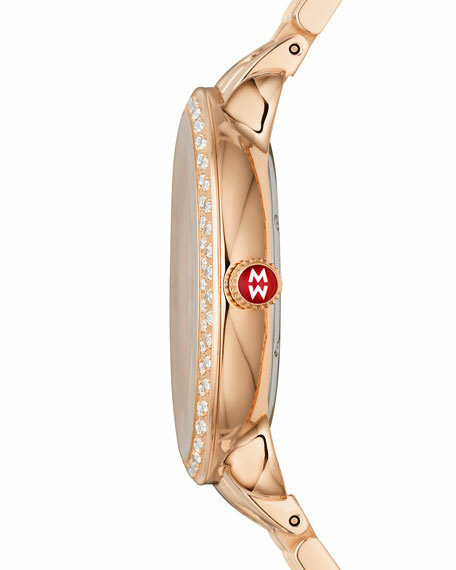 18-karat rose gold-plated stainless steel. 228 diamonds trim bezel and dial. For in-store inquiries, use sku #2021433.